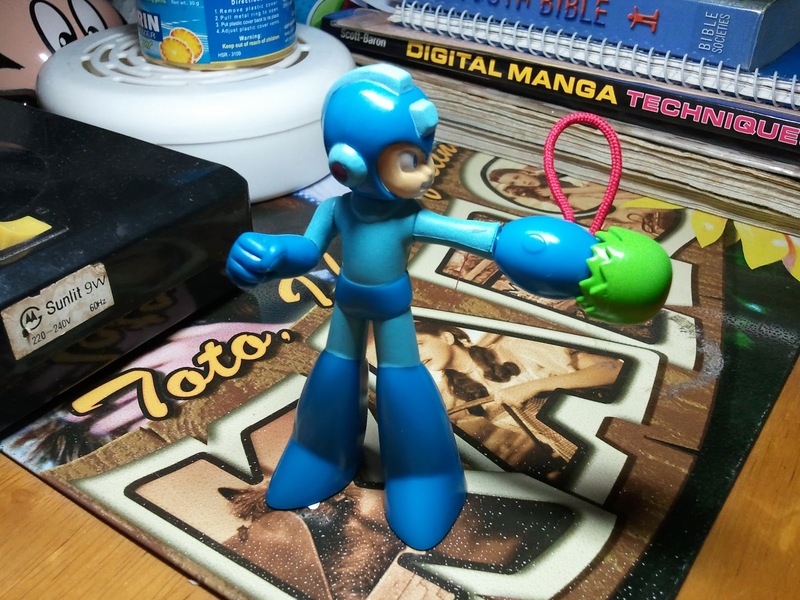 Some new, quirky Mega Man paraphernalia is hitting the Philippines. Apparently, Jollibee Restaurants are offering Mega Man toys with the purchase of a kids' meal. Rockman Corner readers Ivan and Yelena sent in the following images of the plastic heroes; three-inch Mega Man and Proto Man figures. Check out more images here! The Light brothers are the featured boy's toys of the month, available at participating restaurants while supplies last. 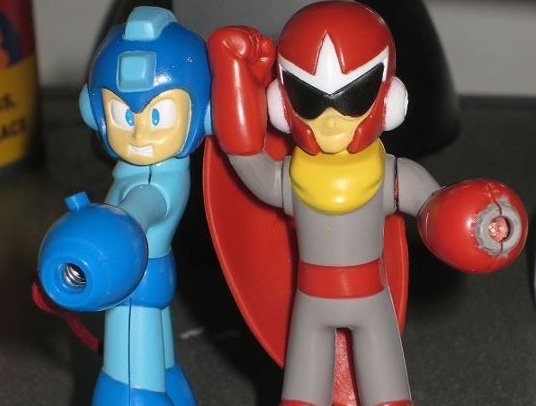 Each figure has their own special feature: Mega Man shoots a spring-loaded Buster shot with an optional interchangeable arm part, and Proto Man... well, Proto Man has a removable shield. Word has it the toys received a televised commercial as well. No footage of that at the moment, but hopefully someone will spot it and put it online. Jollibee switches out kids meal goods once a month, so you have until roughly mid-November to snag 'em. Never heard of it before. inb4D-ArtsandKobukywhogivesafuck comments about figures and toys. There's a Jollibee here in California... I wonder if they have any of them! Time to investigate! Those toys looks a helluva lot better than the ones from Jazware released years ago. Hell, they look better than the Power Rangers Toys given at McDonalds! Why the hell does MegaMan always cater to this chain things no one's ever heard of? IT happened during the 15th anniversary when all the anniversary stuff was advertised on like HOODIE BABY'S FLAVORED POPSICLIETS. Yeah, never heard of it. How ignorant, anon. Jollibee's is huge here. Egocentrism at its finest. I've seen it around Woodside here in New York. I'm unfamiliar but I will go check it out. and i must say, its very light weighted and ummm.... the color a big let down, plus megaman do nothing except shoots his pellet and protoman does nothing except circled his hands and put the shield at the back or his right arm and light buster, anyway its cool, another one for my megaman collection... this is a must get... roughly 2$ for a kiddy meal with a toy... so i must say its 4$ for both. by the way last 5 years ago? mcdonalds advertise the rockman.exe toys here at PH.. but forgot to buy some. 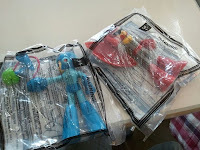 the ryuusei no rockman toys at wendies... they didnt commercial it so i have no clue about that.. I have a real soft spot for "happy meals" toys. The cheaper the make, the better. :P It's just a part of the aesthetic. They only had kids next door toys, I guess this is a Philippines exclusive!